Below you can view all the townhouses for sale in the Villas At Laurel Springs subdivision located in Suwanee Georgia. 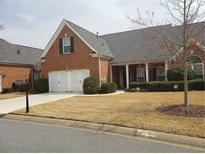 Listings in Villas At Laurel Springs are updated daily from data we receive from the Atlanta multiple listing service. To learn more about any of these townhouses or to receive custom notifications when a new property is listed for sale in Villas At Laurel Springs, give us a call at 404-998-4162. The Main Floor Open Floor Plan With Cathedral Ceilings Makes This Home Perfect For Entertaining.With The Hoa Maintaining Your Lawn,You Will Have More Time To Enjoy Having Friends Over, Enjoying Nearby Shopping Or Playing Tennis/Pickle Ball At The Clubhouse. MLS#6525191. Keller Williams Realty Atl North. 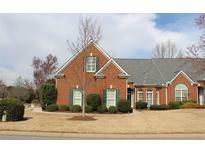 Friendly, Active Community W/Pickle Ball Courts, Clubhouse W/Exercise Facility. Owner Is Ready To Sell MLS#6507102. Atlanta Communities.